Around here, you can usually count the number of 35 degree-plus days in summer on two hands. In Spring, they are next to non-exixtent. Trekking west to Penrith for my first triathlon of the 2015/16 season on a day where the Mercury was nudging 36c was always going to make it an interesting day. Leading into the event I was looking forward to the hit-out for a number of reasons. I was actually yet to complete a full sprint race owing to a swim cancellation meaning my previous attempt had become a makeshift duathlon. Naturally, this meant I was keen to see where my swim was at. Training had been consistent, albeit consistently slow. I thought that the best I probably had in me for the 750m straight course was around 15 minutes. The sound of the hooter and the splashes from a multitude of flailing arms and legs had me searching for some fast feet to nestle in behind but, alas, it was not to be. I then set about maintaining a straight track through the murky lake water whilst maintaining a nice, constant stroke rate. Any feet I did stumble across were slow enough to pass so basically the whole swim was done alone and wondering how I was faring. It was the perfect example of just keeping your focus on the process, rather than the outcome. I exited the drink in 14:40, better than expected and 6th of 17 in my category. I proceeded to peel off my wetsuit like a ravenous monkey attacking a ripe banana. I was very conscious of staying composed in transition and taking my time; maybe a little too much. Soon enough I was out (12th in my category in T1) and pumping my legs on the tredley. 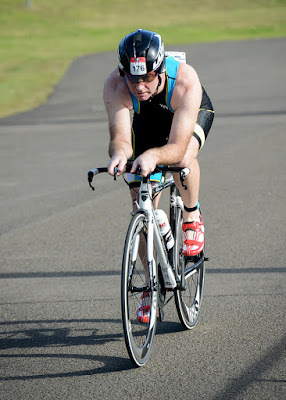 I had ridden the course a couple of times before in winter duathlons, so I had a bit of an idea of what I was capable of. Due to a malfunction on one timing mat, the official results also encompassed T2 but it was clear that I had managed my best effort around the flat western loop circuit. All up, including T2 I carved out 35:59. My previous best was 35:22 sans transition which I'd estimate at around the one-minute mark. I slipped into my Mizuno Wave Paradox 2's as rapidly as possible and headed out on a gallop. The heat was telling and it was far from my best run, a moderate 25:10 and 10th in my age group. There's plenty to improve on and hopefully by the end of this season I can give 1:15 a shake at some stage. I think there's a better swim in me and I can most definitely shave time off T1 and my run. One positive for the day was nutrition. For the first time I tried Tailwind Nutrition which is a liquid nutrition and hydration system. It worked very well and I'll be using it again. For now it's onto a 10km run this weekend known as Run With The Wind. While it may sound like a race for people with flatulence, it is actually an event held in and around some wind farms, a pretty cool backdrop. 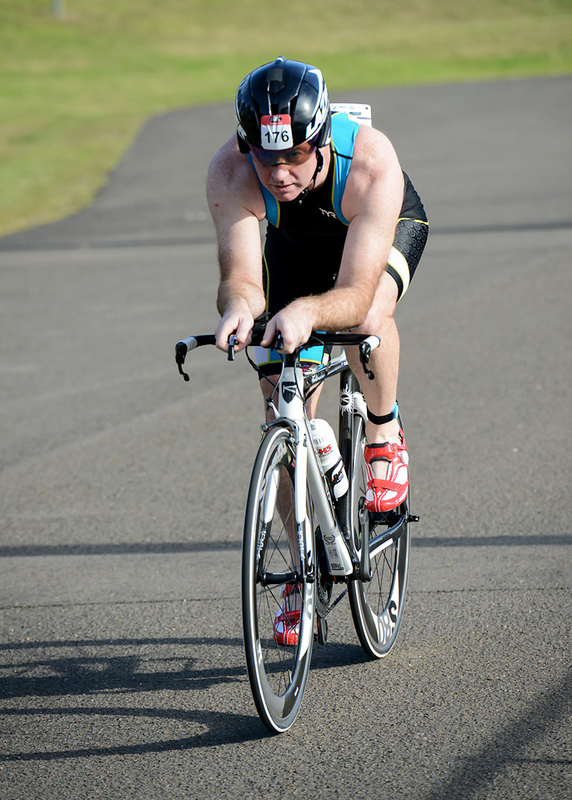 Two weeks later it is on to the the longer Nepean Triathlon which should be a real test and a heap of fun.